Home Science & Technology Why Japan is ahead in Technology? An important question these days in the field of technology is, “Why Japan is ahead in technology?” When Japan was bombed by two Nuclear Weapons it was severely damaged both economically and literally. Despite this fact, Japanese were successful in not only repairing and restoring the previous state. Japan technology history dates back to a few decades. The economy of Japan not only became stable but even speed past many other countries’. And above all Japanese technology is actually leading ahead in the world. Twenty-three Nobel Laureates have come from Japan, and six of these awards were shared the honor with the U.S.
Japan is really amazing! 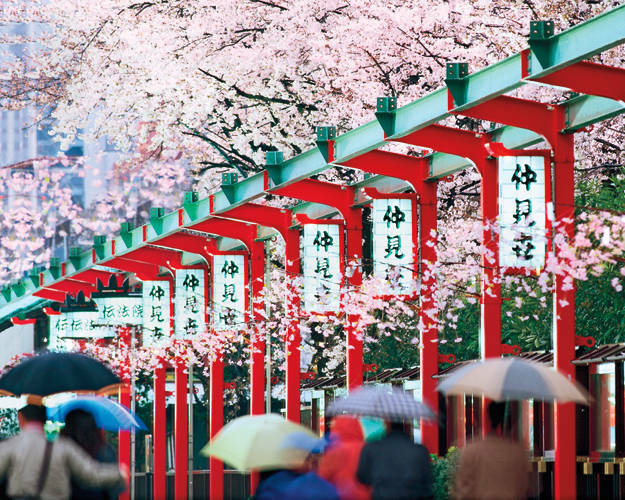 Let us look at some of the factors that explain why Japan is ahead in technology! Why is Japan so advanced? Japanese kids do study all the time. To enter a reputed school then to enter into a prestigious university. They really focus a lot on studies. About 72% of the families fall in the middle class in Japan leading to same quality lifestyle and education. Thus the academic is a way to stand out of general public and students give their all. 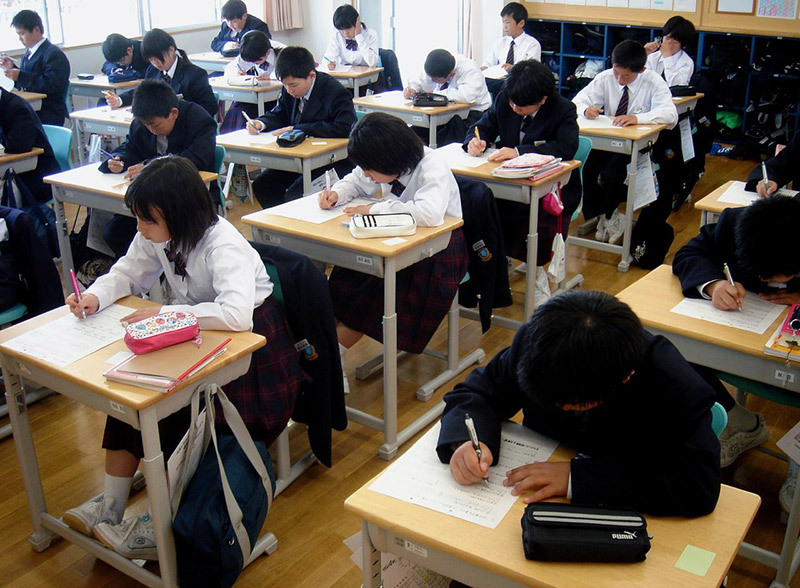 The education system nurtures creative, unorthodox, hard-working, high-spirited and cultured members of the Japanese society. The education in elementary and secondary schools is free. High schools and universities are always paid. All schools are well equipped with high-end technical equipment and broadband internet connection. There are no genitors in Japanese schools. Students are distributed in groups who are given charge of certain school chores like cleaning, dusting, etc. There are lots of exams. They undergo an examination after every trimester and in the middle of the first and second trimesters. Students have a lot to do. They are the busiest pupils in the world. A big company may support a promising student and even pay her tuition fee. However, they will then hire her and hold back the full sum until it’s fully compensated. These all things make them responsible, honest, self-motivated and develop the skill to contribute to current Japan technology and development. They live a healthy and disciplined lifestyle. Japanese people are very hardworking. Japan has some of the longest working hours in the world, and some young Japanese workers are literally working themselves to death. The work hours are hectic as much as that often workers are found to be sleeping during the job this is actually believed the sign of dedication and the bosses show compassion towards these workers. They are passionate and are very dedicated to their jobs. Japanese people in the office are humble, honest and very formal during the job they take their work very seriously they often are found to be doing late work in the office, they work hard so much that they are often found to pass out on railway stations, streets, footpaths etc. It’s quite a common thing there. Technology in Japan today dominates the world, namely, precision equipment, robotics, and electronic compartments. For example, 90% of the US fighter jet computer board compartments are manufactured by Japanese companies. 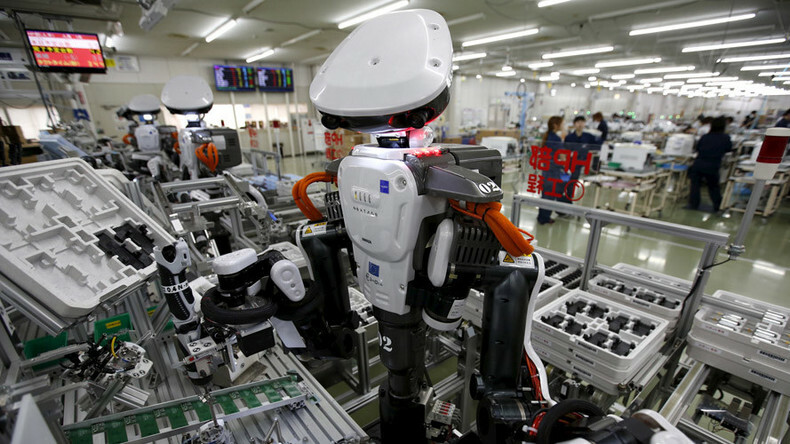 EMIEW 2, an office assistant robot built by Hitachi. this robot assistance is only be 2’7″ tall and weighs 29 lbs. It has a computerized “brain” that can identify and carry out voice commands as it navigates in cramped office spaces. It can very well fetch your coffee or an important document and can guide visitors to someone’s desk. There is an android Repliee Q1, and she has been creeping out audiences since she was unveiled at the 2005 World Expo. Her movements were programmed through a motion capture system that “taught” her how to mimic the little subtle gestures and body language that live humans make subconsciously in conversations. And to give her company these researchers are also building a male counterpart, named Geminoid DK. Japan is one of the greatest countries in the world. Japanese are very hardworking and this is the main reason why Japan so advanced despite disasters often taking place with almost no natural resources. Japan also has great minds and Japanese education nourishes students. The competition is tough everyone works so hard it’s natural that students are intelligent. These become leaders in future, which is why Japan is ahead in technology!